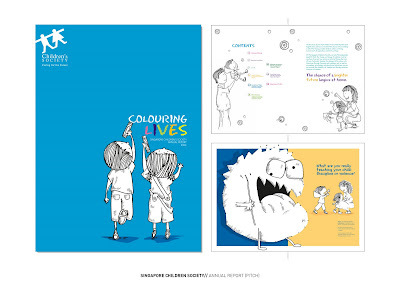 A proposal done for The Children's Society Annual Report. The concept was based on the idea that by donating or by being part of the Children's Society, no matter how big or small, you are "colouring" the children's life. Proposed the Annual Report to be done like a children's colouring book.